The annual translation prizes will held again this year at the Knowledge Centre in the British Library. 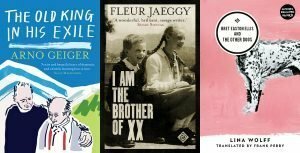 The Society of Authors will be presenting the prizes for Arabic, Italian, German, French, Swedish, and Spanish translation into English, as well as the TA First Translation prize for a debut literary translation into English published in the UK. We are very proud to have four of our translators and three of our books up for prizes! The winners and runners-up will be presented with their prizes on the evening during our sit down presentation, followed by drinks and nibbles. For any questions, please email prizes@societyofauthors.org. More information on the Translation Prizes.